Paso Robles is Breaking Bad! We are trailbalzing a path with "flair", recognized by Wine Enthusiast magazine by giving Paso the title of Wine Region of the Year - a distinction held in the past, by regions such as Rhone Valley in France and Ribera del Duero in Spain. A distinction that has been accepted by Paso with great pride, and utmost humility. It is no small honor! In this year's Wine Region of the Year category, we were up against Walla Walla Valley in Washington State, Douro Valley in Portugal, Rias Baixas in Spain and Stellenbosch in South Africa. We recently had a European visitor who was befuddled (putting it politely) that we blended our Syrah and Grenache with Tempranillo for Rising Tempo. Amy Butler, our winemaker, happened to be in the tasting room. When he asked her the reasoning behind the blend, she simply said: because it was the right thing to do for the grapes! 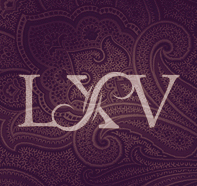 LXV Wine is proud to be all that!